With thanks to Terry Longbottom for sending the scan. Photo of the felled copper beech that stood at the top of Wet Ings Lane next to Eddy Smack's orchard. I think I took the photo in the late sixties. The trunk had lots of 6" nails driven part way in to assist in the ascent to the lower branches. It was a big tree as you can see in some of the older photos in the gallery. 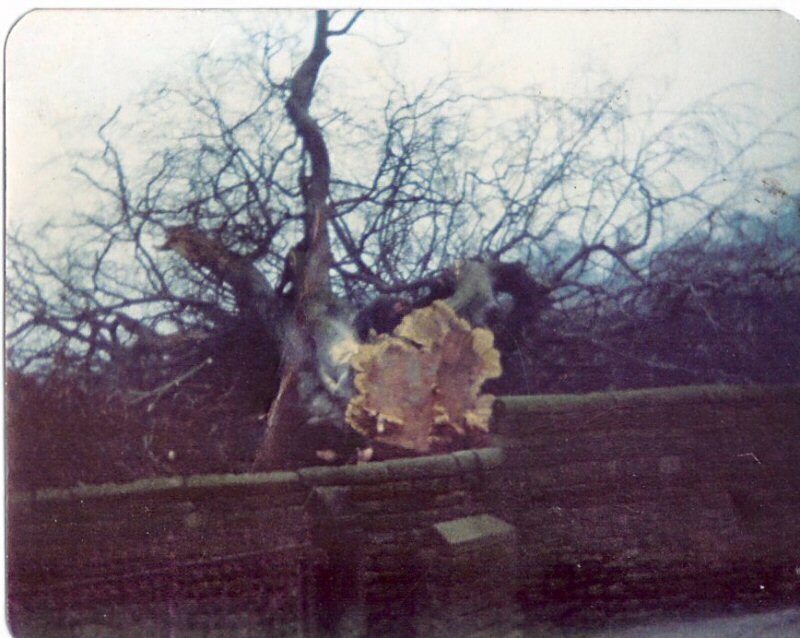 Barbara Chapman pointed out on the forum that the felling of the tree in November 1979 is described on page 41 of Doris Riley's book "Owd Settings".